A rotator cuff tear is a common but painful condition that can cause shoulder and arm weakness and pain that greatly interfere with your daily activities. Even folding laundry becomes a chore when you have a rotator cuff tear. Dr. Brad A. Cucchetti, located in Phoenix, Arizona, is a skilled orthopedist who can tailor a treatment plan that resolves your pain and gets you back to enjoying life again. Call or request an appointment with Cuchetti Orthopedics with our online schedule today. The rotator cuff is composed of four tendons that attach your upper arm, or humerus, to the shoulder blade. The rotator cuff keeps your upper arm in place in the shoulder socket and allows you to raise and rotate the upper arm inward and outward. A rotator cuff tear occurs when one or more of the tendons tear away from the humerus. You can sustain a partial tear when the tendon is still attached but damaged. A full tear means the tendon or tendons have completely detached from the humerus, essentially leaving a hole in the tendon. What causes a rotator cuff tear? Falling onto your outstretched arm or lifting something very heavy with a jerking motion can cause a full or partial thickness tear in your rotator cuff. A dislocated shoulder, broken collar bone, or another shoulder injury can also cause a rotator cuff tear as well. Most often, however, rotator cuff tears are due to a chronic degenerative process that often occurs naturally with aging, causing the tendons to simply wear out. These types of tears are also known as overuse tears. Factors that can lead to an overuse tear include sports activities that repeat the same arm/shoulder motion over and over again, such as baseball or tennis. Work activities that require you to lift your arms repeatedly, such as painting, can also cause damage to the rotator cuff. If you have a worn rotator cuff tendon, something as simple as lifting a suitcase may cause the tendon to tear. What are the symptoms of rotator cuff tear? 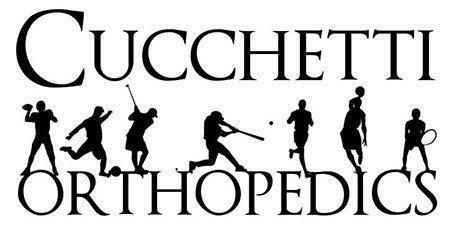 Cucchetti Orthopedics accepts most major insurances and Workers' Compensation Insurance. Please contact our office if you do not see your insurance provider listed. 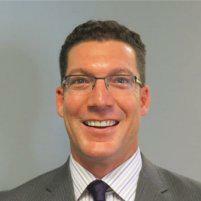 "Dr. Cucchetti not only is very experienced but treats you like a real person. The staff are friendly and helpful." "...My surgery was 6 weeks ago and you would not ever know I had total knee replacement Every aspect of my experience involving my knee surgery was a pleasure." "Dr. Cucchetti is a skilled surgeon, superb diagnostic skills, has an excellent bedside manner and can explain things in layman terms to his patients."